Some time ago Mamarazzi read in Quay Po Cooks blog post titled "What Do You Give To Someone Who Has Everything?". What would your answer be? QPC answer is "Only one thing, I guess. Our PRESENCE not presents"
Our friend had a birthday recently. Since the friend has everything, guess the only thing we can have is a big makan makan. 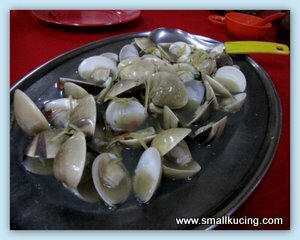 We celebrated at this restaurant since all of us loves to eat seafood especially Crabs. We had two types of Crabs. Steamed Crabs Fresh and very yummy. Mamarazzi didn't get to eat much of this coz as she peeled, I ate. We had Lala Fried Bihun. A lot of vegetable as compared to the one at Coconut Flower Restaurant. Can see a lot of tiny Lala on top. I like it. But Mamarazzi said a bit oily for her. Nevermind, more share for me. Had Seong Thong Lala.Mmm....not bad. 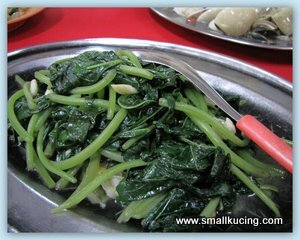 Stir Fried Sweet Potatoes Leaves. 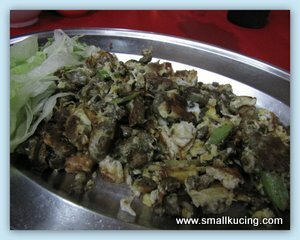 Fried Oh Chien(Fried Oyster). Taste ok ok la. A bit burnt and not that crispy. Mamarazzi saw the next table having "Ais Krim Goreng"(Fried Ice-Cream). 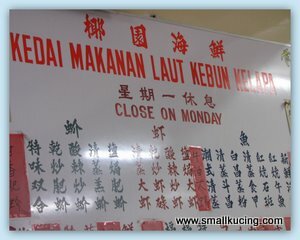 Alamak! have to eat fast fast coz it melts very fast. 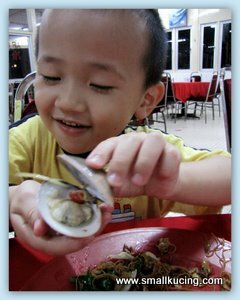 I LOVE crab! It looks so good and fried ice cream sounds great too! I also liked what you said about giving your presence for Christmas. 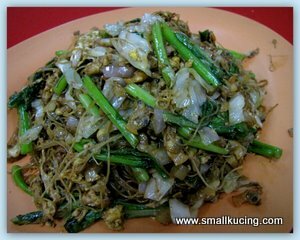 wow the fried bihun make my saliva running out like a river ha ha ha yummy..
Whose birthday? No worries, I don;t have everything...so you can get me a car, a flat screen tv, an iPad....etc etc etc! All I don't have. LOL!!! 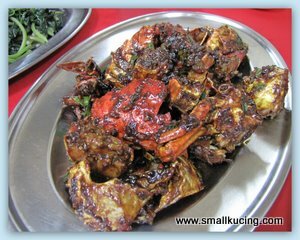 the kum heong crabs look yummy! As i commented in STP and cleff's blogs,i see food like no feel.. cham moe!! 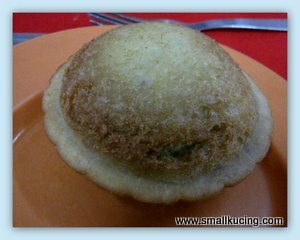 fried ice cream..i like. Can get at pasar malam.. 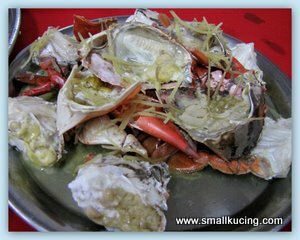 Simply amazing seafood esp the crabs, however I have not tried the fried ice-cream before. I'm a big fan of seafood & u're making me drool with the shots! Your kid is adorable!